Catherine Edmiston gave us a reason to believe in the still small possibility of justice for our communities. 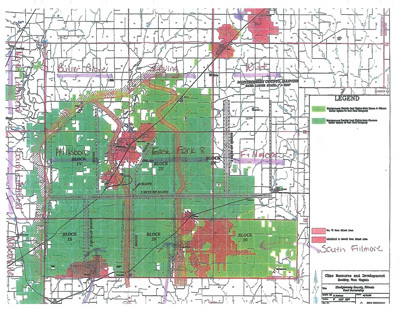 Coal rights location map showing 120,000 acres that were sold by the Montgomery County board to an affiliate of Cline Group. For the last several years the focus of Citizens Against Longwall Mining has been to minimize the environmental impacts from Deer Run Mine and maximize the community benefits from coal extraction in Montgomery County. We have identified two primary approaches that would greatly help the economic and developmental growth in Montgomery County. A coal severance tax should be established in Illinois. The royalty rate per ton of coal extracted from Deer Run Mine should be increased. It is hard to understand why Illinois is one of the few coal mining states that do not have a severance tax. West Virginia has a 6.5% and Wyoming a 10.6% coal severance tax. Some Illinois communities have shown their support for a coal severance tax. 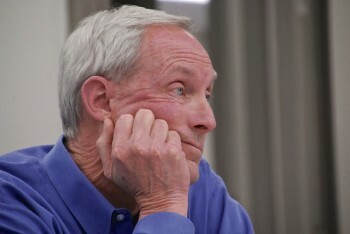 The Montgomery County Board passed a pro-severance tax resolution during Roy Hertel’s chairmanship. Benld City Council has also approved a resolution to establish a coal severance tax in Illinois. To date, unfortunately, the State of Illinois is more supportive of profits for the coal operator than promoting the needs of coalfield communities. One proposed plan for a coal severance tax in Illinois was for one-third of collected revenue to go to coal extraction communities, one-third to the state general revenue fund, and one-third to a permanent legacy fund that would cover costs later after the coal companies are gone. There is abundant evidence to support the need for this proposal. There have been two schools destroyed by subsidence in our area, Benld, several years ago, and Swansea, this September, 2017. A legacy fund would have helped communities with expenses like school replacements and repair of damaged infrastructure. Past experiences show that communities cannot depend on Illinois government agencies and legislators to go against the interests of the coal-utility complex. People power is the most effective way to address the needs of communities. To unite and inspire citizens to act in their own best interests, they must be made aware of the past and consequences that are occurring now and in the future. Montgomery County and Hillsboro were horribly short-changed when the coal bargaining terms were set up. The coal rights for 120,000 acres were sold by the Montgomery County Board for only $7.2 million to an affiliate of Cline Group in December 2004. This group turned around a short time later and resold the coal rights to another Cline affiliate for $255 million or about 35 times more than initially sold by the Montgomery County Board! The 3% royalty rate is also too low for any growth potential in Montgomery County. In fact, the 3% is really about 1.5% to the county after Deer Run Mine’s required payments like Black Lung, Abandoned Mines, transportation costs, etc. are subtracted. In yet another case with questionable results between citizens of a community and the giant coal industry, the citizens of Hillsboro lost their airport and failed to receive fair compensation for this loss. The airport was not appraised as a certified, functioning airport, resulting in an appraisal far below replacement value. The Hillsboro Airport was sold to Hillsboro Energy LLC for $350,000 on January 9, 2008 with the stipulation that the airport would be replaced within 10 years. There still is no Hillsboro airport or plans in the making to construct one. Citizens are at risk of losing money in more subtle ways. The permanent placement of two high-hazard coal slurry impoundments, the violations of the Clean Air and Clean Water Acts, subsided farmland, and compromised roadways caused by Deer Run Mine are bound to adversely affect property values in Montgomery County. The community is not sharing in the wealth from coal extraction, and these companies should pay back to communities they have adversely affected. Our schools and communities are not receiving the funding that they need to provide 21st century opportunities. Harm is caused to coalfield communities in many ways, and some are unexpected, but extremely dangerous. Deer Run Mine is sealed due to an ongoing fire that has been burning since March 2015. Even though Deer Run Mine is inactive, Hillsboro Energy LLC applied to the Illinois Department of Natural Resources, Office of mines and Minerals for a 7,731.8 acre expansion in 2015. IDNR/OMM has not approved or denied the permit application. The underground fire has not been extinguished after several attempts and should be a major concern to everyone in Montgomery County. There seems to be no accountability for the community’s safety. This ever present danger to the community must be in the forefront of communications with the mine. Citizens need to know where the fire is located since Deer Run Mine is located in the City of Hillsboro. Is the fire migrating and in what direction? When the Hillsboro Zoning Board of Appeals amended the land use plan to allow underground coal mining, the stated reason for the zoning change was “…to promote economic growth of the community, conserve property values, and protect the health, safety, and welfare of the citizens of the City of Hillsboro, Illinois…” Instead, much the opposite has resulted, our community continues to struggle financially and area citizen’s health and safety are at greater risk. For improvement and growth in Montgomery County, residents must unite and work toward a community benefit plan that holds coal operators responsible to the region in a way that enhances the quality of life for all. 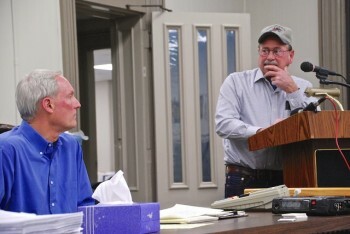 William Schroeder, a landowner concerned by the proposed expansion area, addresses Scott Fowler (rt) and Cliff Johnson, Land Reclamation Specialist, about the lack of a formulated plan to handle the drainage issues of subsided land with no timeframe for reclamation. William questioned how the subsidence of each sunken panel going north to south could be corrected when each time there is a hill to overcome. Mr. Fowler agreed that the situation is more difficult. Nearly fifty concerned citizens, local officials and area farmers attended the February 11th “Informal Conference” held by the Illinois Department of Natural Resources Office of Mines and Minerals in Hillsboro at the Montgomery County Historic Courthouse. Hillsboro Energy, LLC has submitted an application for a Significant Revision No. 2 to Permit 399 for Deer Run Mine. 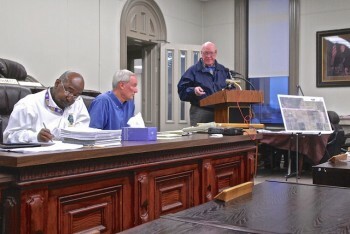 Scott Fowler, Division Manager and Hearing Officer for the Informal Conference, listens to Larry Schraut at the podium. Larry farms land that is located in the shadow area in both the original and proposed expansion of Deer Run Mine. He questioned why IDNR/OMM would approve an expansion when they don’t know if the subsided land with drainage problems can be reclaimed as documented by the little progress that has been made on correcting the sunken areas of panels 1 and 2 after several years. Mr. Fowler commented that as long as the mine is fulfilling the obligations of its current permit, it has an opportunity to be able to expand its mining area. An “Informal Conference” is supposed to be an opportunity for questions and answers regarding a new coal mine permit application, revision, or renewal. Per the federal Surface Mining Control, Reclamation and Enforcement Act an Informal Conference can serve to answer questions regarding a new mine permit so there is no need for a Public Hearing on the application. Scott Fowler, Division Manager, Office of Mines and Minerals, IDNR and Hearing Officer for the Informal Conference. Needless to say, citizens have also requested a Public Hearing as many of their questions were not answered. The Public Hearing has been scheduled by Illinois Department of Natural Resources, Office of Mines and Minerals on March 24th at 5 p.m. at the Montgomery County Historic Courthouse. 1. In spite of being shut down due to an ongoing underground mine fire, the mine has applied for a 7,731.8 acre expansion for underground mining in the shadow area. This huge increase in available coal mining area is nearly double the size of the originally permitted underground mining area. Thousands of acres of prime flat farmland are included in this longwall mining application and hence will be subject to subsidence if this new permit is approved. 2. If Deer Run Mine is expanded, there was a request not to use the 2 existing impoundments for storage of coal waste. The two slurry impoundments upon failure would damage Hillsboro Lake and many homes and businesses as shown by the inundation maps. 3. Many citizens were concerned about water resources being contaminated and compromised to the extent that the stream could not be used for cattle or wildlife. After coal has been mined for 5 years at Deer Run Mine, surface waters around Deer Run Mine are contaminated as indicated by their high conductivity. 4. The mine also proposes to subside (drop the surface of the land unevenly four to six feet with permanent earthquake-like impacts) on the western edges of Coffeen Lake, which is an IDNR Fish and Wildlife area. Bear Creek and McDavid Branch will also be subsided. Although there will be material damage to water resources and farmland from subsidence, there is no additional bonding planned for the proposed expansion at Deer Run Mine. 5. Local farmers expressed again their concerns about long-term drainage problems and they questioned how subsided farmland would be reclaimed. It became apparent that there is no formulated plan on how the water drainage on subsided land would be handled and certainly no timeframe for completion. 6. Area citizens have worries that the mine processing plant producing air pollution and causing health risks would only be prolonged with an expansion. There is no change with the expansion in the lifetime air permit which does not monitor air on or off the mine site. Residents have endured coal dust, fumes, and noxious odors and these unhealthy events would be increased with the additional 7,731.8 acres. 7. With an approved expansion, the mine will be able to extract coal for several decades as long as Hillsboro Energy, LLC renews the permit every 5 years. The fiscal solvency of Deer Run Mine was questioned. There were worries about who would pay future costs of reclamation after the mine closes. 8. The potential of longwall mining under the land will lower area property values and quality of life. Many of the mineral rights of landowners were severed years, decades, or even a century ago from their surface land. The rights of landowners are superseded by the rights of Deer Run Mine. 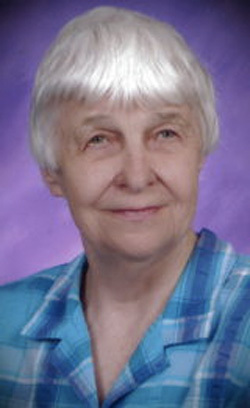 Excerpts of citizen testimony and state agency responses are at the video link below, thanks to the work of Pam and Lan Richart of Eco-Justice, Champaign, Illinois. Time: Thursday, February 11th at 5:00 p.m. Attend this Illinois Department of Natural Resources Public Informal Conference regarding the proposed mine expansion of Deer Run Mine. Comments and questions can be made at the meeting. 1. Even though the mining will be about 500 feet underground, the new, proposed 7,731.8 acre longwall mine expansion to the south will pull the coal out from a huge area, sinking much of the surface land up to six or more feet. The farmland will sink unevenly over a very large area. Who pays if farmers lose land productivity and if their farming costs go up because of this? 2. How can this new underground longwall mining area proceed when drainage problems in the existing longwall mined area are not resolved? 3. The proposed expansion shows the mine will sink or subside parts of the western edge of Coffeen Lake: what will sinking part of the lake mean to the IDNR Fish and Wildlife Area and the quality and quantity of lake water? 4. The proposed expansion map shows the lower reaches of McDavid Branch Creek will be sunk or subsided and it feeds into Coffeen Lake. What happens if the amount of water going into the Lake is reduced by ponding up stream? 5. What will IDNR do to ensure the mine fire area is sealed and the fire is stopped? How can state authorities allow Deer Run Mine to expand if the mine has not managed to put out its underground fire that has been burning since March, 2015? This proposed 7,731.8 acre expansion is Deer Run Mine Permit 399 Significant Revision No.2. A copy of the expansion application is located at the Montgomery County Clerk’s Office or can be viewed on the Illinois Department of Natural Resources web site, Mines and Minerals Land Reclamation. The proposed stream protection rules should be implemented, and in addition, appropriate requirements that would mandate full compliance with the Clean Water Act should be enacted. Moreover, material damage produced from mining should include not only water resource damage, but total economic loss to coalfield citizens. There are 2 active coal mines near the homes of Citizens Against Longwall Mining members. Shay 1 Mine in Carlinville, Illinois and Deer Run Mine in Hillsboro, Illinois. Both mines have contaminated water resources, damaged farmland and diminished air quality. Shay 1 Mine, the prior Monterey 1 Mine owned by Exxon-Mobil, was purchased by Chris Cline/Foresight Energy Group and approved in 2009 for active coal production. Monterey 1 Mine had contaminated groundwater and off-site surface waters for many years due to leakage from 2 coal slurry impoundments. It is unacceptable that the water violations did not prevent the Illinois Department of Natural Resources/Office of Mines and Minerals from approving the permit that allowed additional coal slurry to be placed into the offending impoundments. IDNR/OMM proceeded over time to approve importation of coal ash and to establish underground coal slurry injection at Shay 1 Mine. The unacceptable contamination issues still exist and this has resulted in the Attorney General’s Office decreeing a trench assembly to be constructed to facilitate the pumping of contaminated water for treatment prior to discharge. This has not been established yet, but is planned. There is a pending permit (Revision 11 of Permit 56) that would expand Shay 1 Mine by 10,015 acres. Many residents in Macoupin County are very concerned about the proposed plan to room and pillar mine under the 2 Gillespie Lakes that are the only drinking water resources for thousands of residents. IDNR/OMM routinely rubber stamps coal mine permit applications regardless of citizens’ objections and risks. Citizens are legitimately concerned that 40-50 years later there will be subsidence with no bonding available to compensate for damage. They have already lost an almost newly built school due to subsidence from prior coal mining. The coal operator that produced the subsided mine voids was no longer in business. The legacy costs of coal are not addressed for communities that have unplanned subsidence and ground water damage that will occur for future generations. Deer Run Mine is also owned by Chris Cline/Foresight Energy with recent financial holdings by Robert Murray Energy. 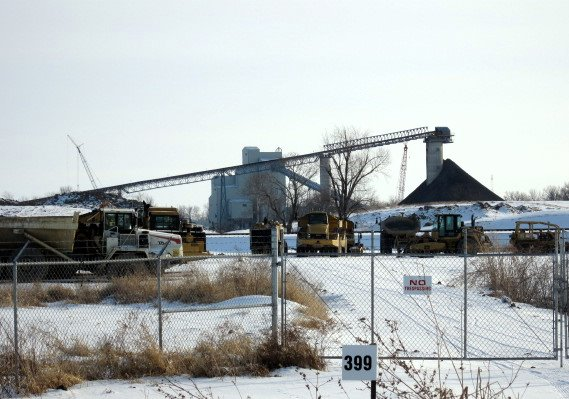 This longwall mine is located in the City of Hillsboro, Illinois with the coal processing plant next door to Hillsboro Hospital, a nursing home, and a day care center. The mine discharges into Structure 5 that flows into Central Park Creek and meanders through Hillsboro past the Middle and High Schools. The chemical content, concentrations, and total accumulation from the mine discharge are not known, but the electrical conductivity of water in Central Park Creek is high and at unacceptable levels. Water quality standards are seriously not being protected with the present regulations as applied in Illinois. The damage to farmland by subsidence from longwall mining has not only been a nonissue, but the proposed methods to mitigate the 5-6 feet sunken areas are absent from approved Permits 399, Significant Revision 1 of 399, and Renewal of 399, and Permit 422 . There are still no proposed drainage plans after 7 years beyond the promise that these problems will be managed. IDNR/OMM ignored the Montgomery County Soil and Water Conservation’s concerns about drainage issues from subsidence and its suggestion that the first impoundment be relocated out of the watershed of Hillsboro Lake, a public drinking water source. Long term, longwall mining will severely affect the agricultural industry in Illinois since coal is located in two/thirds of the state. One of the most dangerous legacies in Montgomery County is the permanent placement of the coal slurry impoundments in the community. Hundreds of acres of cropland are lost to coal slurry impoundments that can leak, erode coal dust, and fail over time. There was no risk assessment in determining the location of Deer Run Mine’s second impoundment that upon failure will inundate the City of Hillsboro to the west, Schram City to the north, several major streams and hundreds of acres of farmland to the south, and the first coal slurry impoundment to the east. This inundation threat and forever risk to several communities reflect the tragic, inappropriate, and harmful control coal has on our regulatory agencies. Through manipulation by the coal industry and a lack of enforcement by regulatory agencies, there is a failure of proper protection of coalfield communities. The fact that under SMCRA the Clean Air Act is not enforced and fugitive emissions are a nonissue is an insult to the health and development of a community. The health damage from particulate matter alone is well established, but coal dust has harmful metals and carcinogenic polycyclic aromatic hydrocarbons that endanger health even more. Coalfield citizens tragically do not have their right to a healthful life as should be ensured and protected by regulatory agencies. If coal mining is to mitigate its damage in the U.S., the health, safety, and financial well being of communities must be protected by federal mining laws and enforced by state regulators. Stronger enforcement of SMCRA is essential for the quality of life in communities and the continued extraction of coal. Thank you for your many efforts and for proposing the new stream protection rules.